Big time fun at Big Hickory Island with this big bunch of fabshellous folks! And seashells to find on the beach. And treasures to find in the water. I’m a little delayed in posting, but this was last week on Halloween day. Cutie trick or treaters found lots of seashell treats. That’s an amazing ALBINO LACE MUREX along side those 2 FLORIDA CONES, huge BABYS EAR and sweet striped SUNRAY VENUS. Fantastic finds! I couldn’t believe I even found a fossil SHARK’S TOOTH. Every time I’m on this cruise, I’m thrilled to meet and see shellers find such exquisite gems. I look so forward to these trips! Did ya see the awesome post about this shelling cruise written by Robin Draper of Authentic Florida? Her Authentic Florida blog is devoted to giving us the best info on everything cool thing in Florida and I’m honored she came on this boating trip with us. 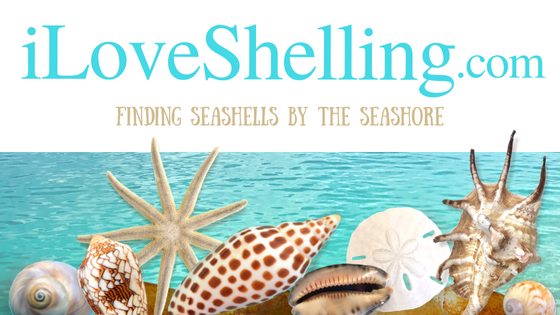 Check out her article… http://www.authenticflorida.com/articles/where-to-go/find-florida-shells-with-a-shellebrity/. Thank you Robin for all you do give us a peek at all the hidden gems of Florida. And you’re so dang cute and fun! I just love reading your posts. I am so proud of you, girl! Hope to see you soon! Loved your clever Trick / Treat buckets – the beautiful blue waters & of course the shells !! I am booking a Cruise with you!! After reading Robins blog, I added 3 more things I want to do this year! Prefer the Cayo Costa cruise….. This is the second time my Husband, Charlie and I have gone on this trip to shell at Big Hickory. Both of us enjoyed both trips and look forward to going on another trip to Big Hickory. Always have fun on the trips. My husband, Charlie and I have gone on this trip to Big Hickory twice now. We enjoyed both trips and look forward to going on another trip to Big Hickory. Thanks Pam I always enjoy your shelling trips!